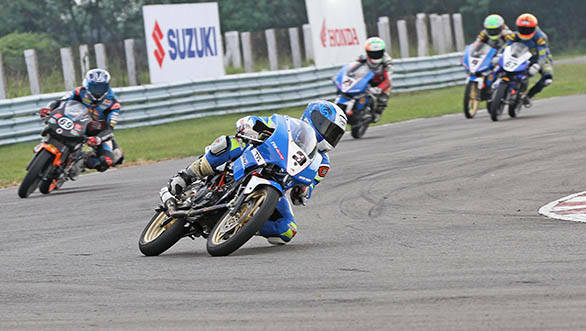 The fourth round of the MMSC FMSCI Indian National Motorcycle Racing Championship concluded in Chennai on September 6. The round hosted races for seven different championships - Group B (Open) category, Group C (Open) category and Group D (Novice) category along with the one-make championships held by Honda, Suzuki, Yamaha and TVS. In the Group B Open class, Jagan Kumar took his third and fourth wins of the season this weekend. 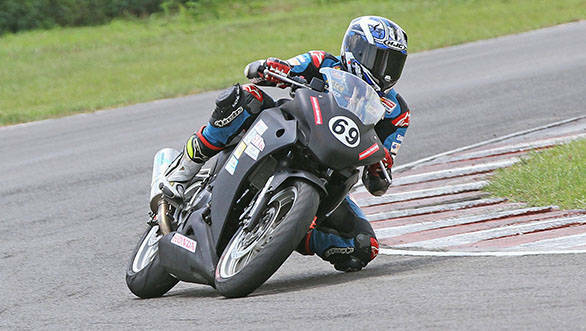 In the first race, he was followed by Deepak Ravikumar and Rajini Krishnan of Moto-Rev Yamaha Racing. On day two however, Jagan's teammate, KY Ahmed finished second ahead of Ravikumar. Harry Sylvester from TVS Racing had a disappointing weekend after finishing seventh in the first race and dropping two places down in the championship by the end of the round. His double win pushed Jagan to the top of the standings with 112 points ahead of Rajini Krishnan (95 points). In the Group C Open class, Mathana Kumar too managed a double win this round giving him an overall score of 118 points. This pushes Ananth Raj (115 points) to second place in the championship ahead of Sumit Lucas Toppo (96 points). 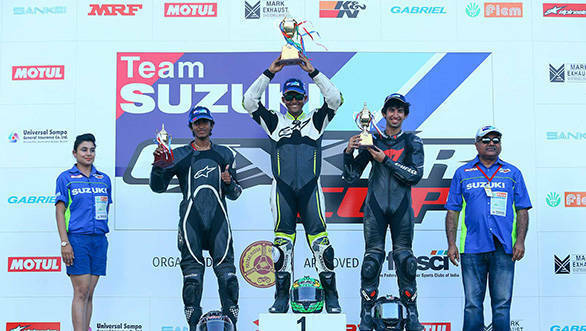 In the Group D Novice category, Vishwadev Muraleedharan of Sparks Racing took first place on day one while Kannan Karnan clinched a victory in the second race. Kannan's win in this round got him to the top of the scoreboard with 102 points, ahead of Aravind B (94 points) and Vishwadev Muraleedharan (93 points). The Honda One-Make Championship sees Sarath Kumar continuing his winning streak in the CBR250 category this round, keeping him at the top of the scoreboard. 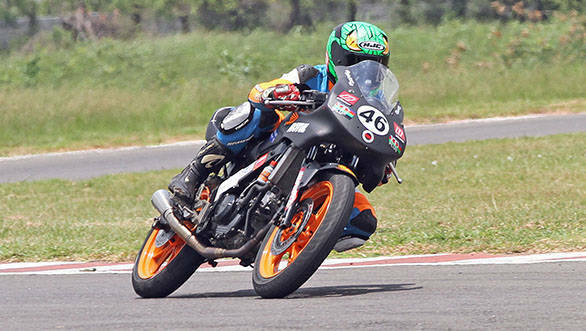 In the CBR150 championship, Aravind B won the first race ahead of Sivanesan S. However, in a turn of events, Sivanesan finished first in the second race followed by Aravind. In the TVS One-Make Championship, Aravind Ganesh R and Sathish Kumar L scored double wins in the Open and Novice categories, respectively. 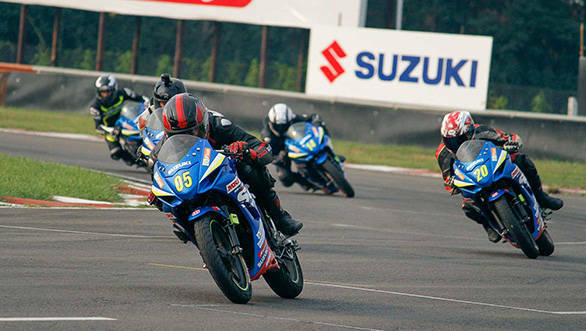 In the first Open category race of the Suzuki Gixxer Cup, Ananth Raj finished first just 0.09 seconds ahead of Abhishek V. He also won the second race ahead of Sathish Kumar A. The championship standings remain unchanged with Ananth on top, followed by Abhishek. In the Novice category, Amarnath Menon won by a mere 0.068 seconds, ahead of Vishwadev Muraleedharan in the first race. However, Muraleedharan pushed harder in the second race and took his rival on the final corner of the last lap. The championship is led by Vishwadev followed closely by Amarnath with a difference of just 2 points. Atul Gupta, executive vice president of SMIPL said, "We are extremely excited to announce our next and final round for the 2015 season at the Buddh International Circuit in Greater Noida. Not only does this bring the races and excitement to northern India, but we will also have the presence of the legendary racing icon Kevin Schwantz, the 500cc Grand Prix World Champion of 1993, and a die-hard Team Suzuki rider for decades! Our racers, customers and fans will have an incredible opportunity to meet and interact with one of the world's greatest motorcycle racers ever!"